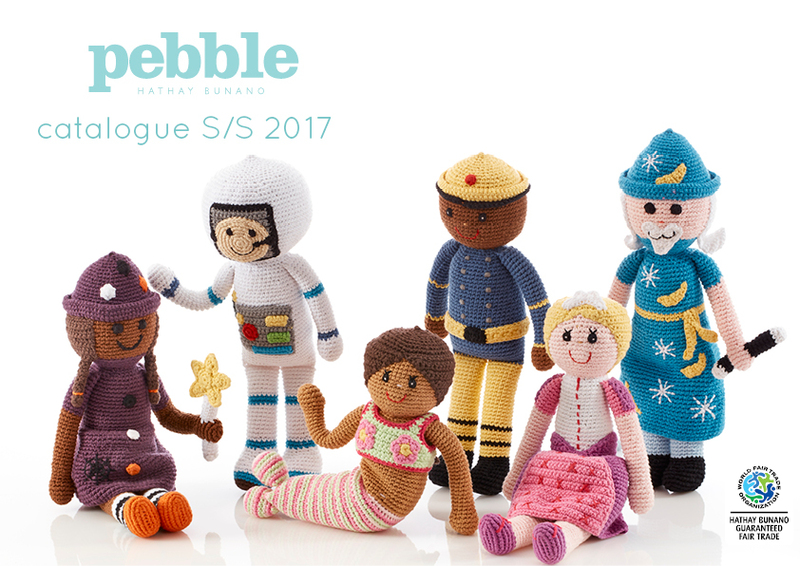 My favourite two weeks of the year are the week in January and the week in June when we bring out our new catalogues and show you all the new products that have come to the Pebble range. For us its the culmination of many months of product design and development and testing. Sorting through which products work and which don’t and finally bringing you the final selection. There are lots of new products in this catalogue – we’ve been very busy and to be honest, got a little carried away with excitement. Here are a few of our favourites. We’d love to hear what you think of them. They will be up on the website shortly and there will be stock in the warehouse from next month. The new spaceman doll has come to the Storytime range and we love him. There’s something about space exploration that never gets old. And for little ones’ vivid imaginations, Star Wars often seems as real as Tim Peake. I love the way my children slip so seamlessly from talking about things that are real to things that are imaginary or conceptual. I think this sort of really open minded thinking is a crucial skill in today’s world. 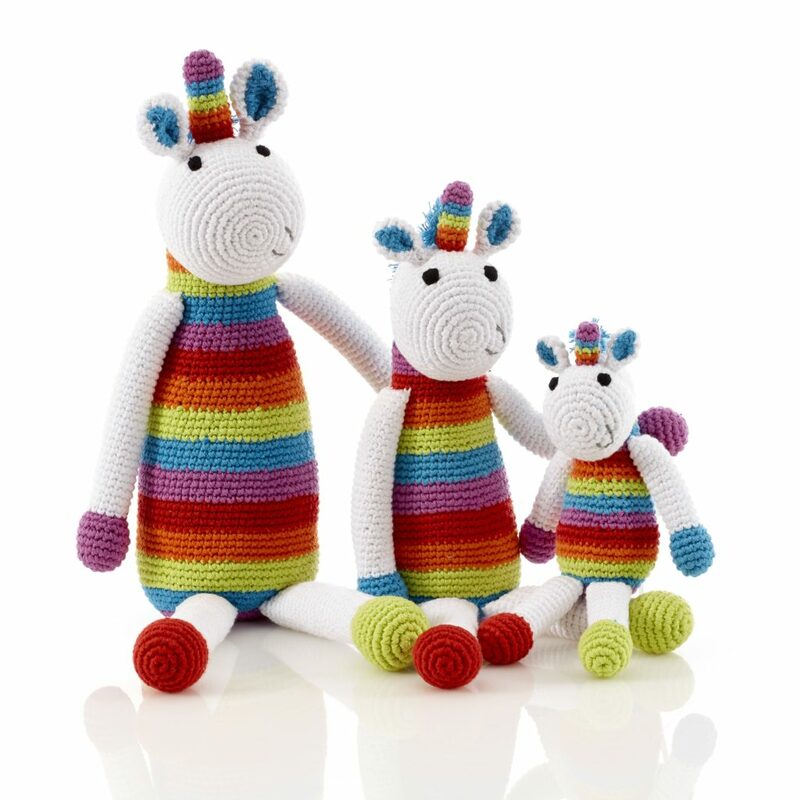 We had a huge response to the new rainbow unicorn when it was pre-released in the USA in the autumn last year and so now its come to the catalogue we’ve introduced it in 3 sizes, a small rattle size, medium sized and then a large one that sits with the large animals. There’s just something so magical about rainbow unicorns! 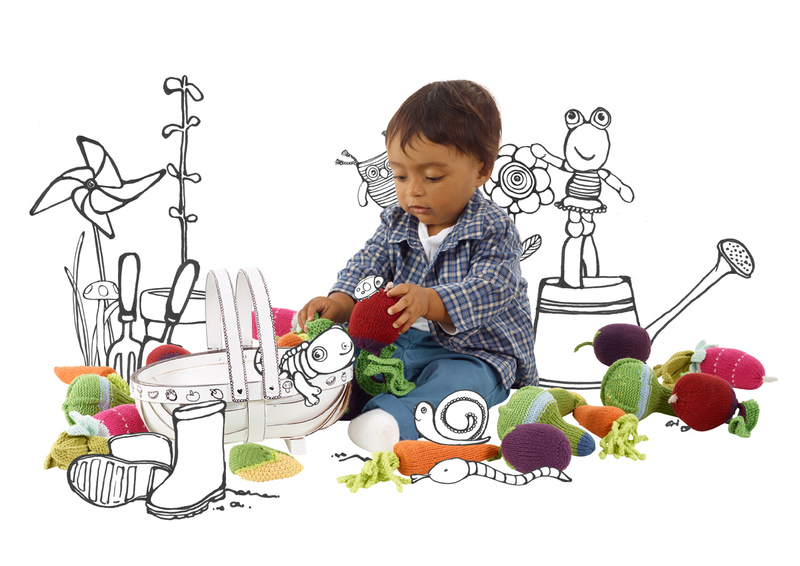 Fruit and vegetables rattles have been on our best sellers list since they were introduced back in 2006. There was a time when a friend said to me that you couldn’t walk down a street in Melbourne, Australia without seeing a baby with a Pebble carrot rattle. Don’t worry, the whole range of fruits and vegetables are continuing just as they always have been but in addition we have brought in this new range of friendly fruit. 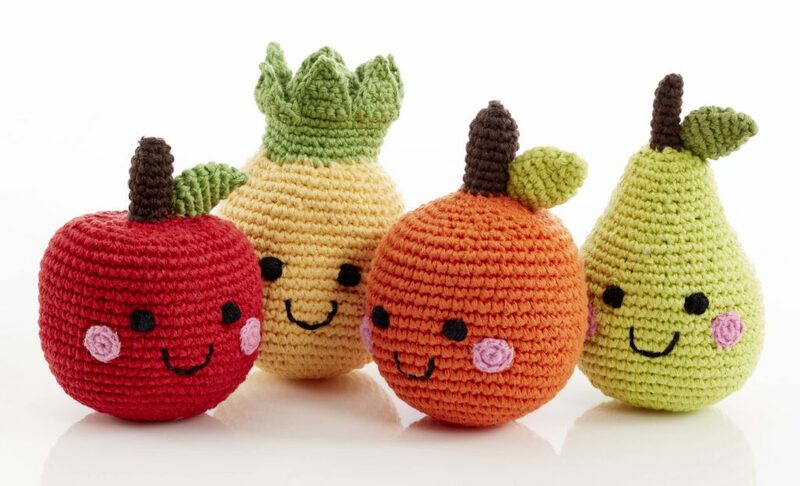 Drawing on the true amigurumi tradition of cute, we have added fun smiley faces to some fruit. 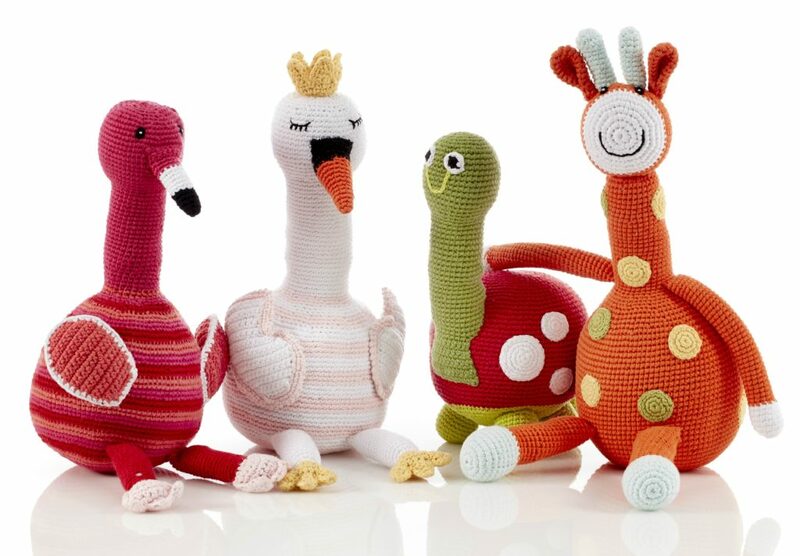 Destined to bring a smile to both mummies and babies alike. We are continuing to add to and refine the range of large animals. Last season we brought you the hot pink flamingo which has been hugely popular and we are giving it a friend this season in the form of this very elegant swan. As you know all swans should have a crown! We make a lot of toys which are unisex and this is intentional. We love the idea and concept of gender neutral. And we love playing with colours so that even the more traditionally ‘girlie’ dolls can appeal to boys. I remember when my oldest was a toddler there were very few dolls that were gender neutral and he wanted a baby doll. Finally I found him one that was dressed in a green onesie and he loved it and cared for it just as he saw me caring for his baby brother. 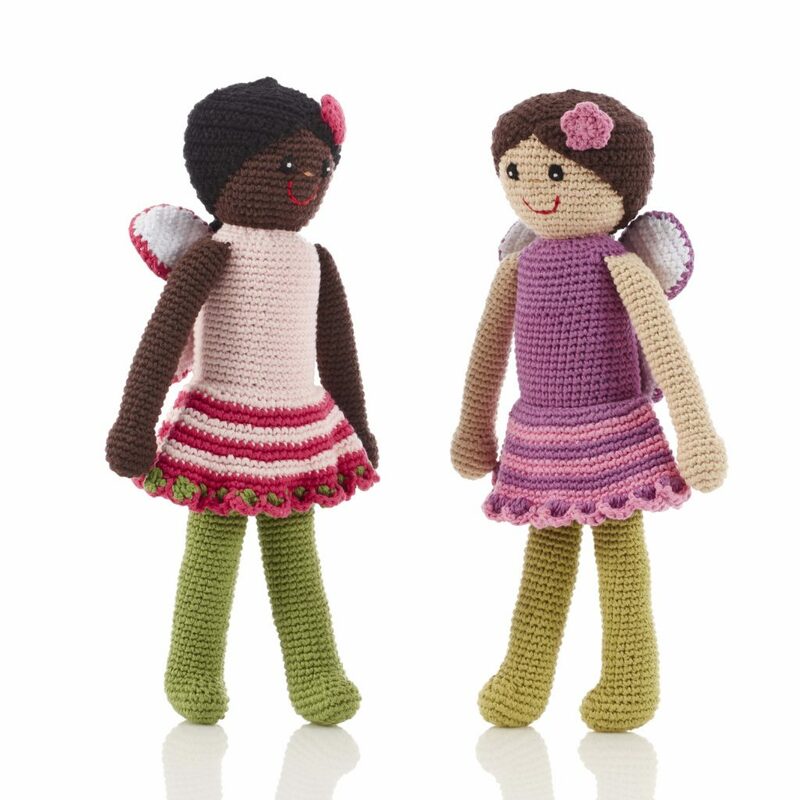 These new fairies in the Storytime range are definitely the type of fairies that you might find at the bottom of the garden and we hope that they are the kind of fairies that could be found and befriended by both girls and boys alike. The range of cars just keeps growing. 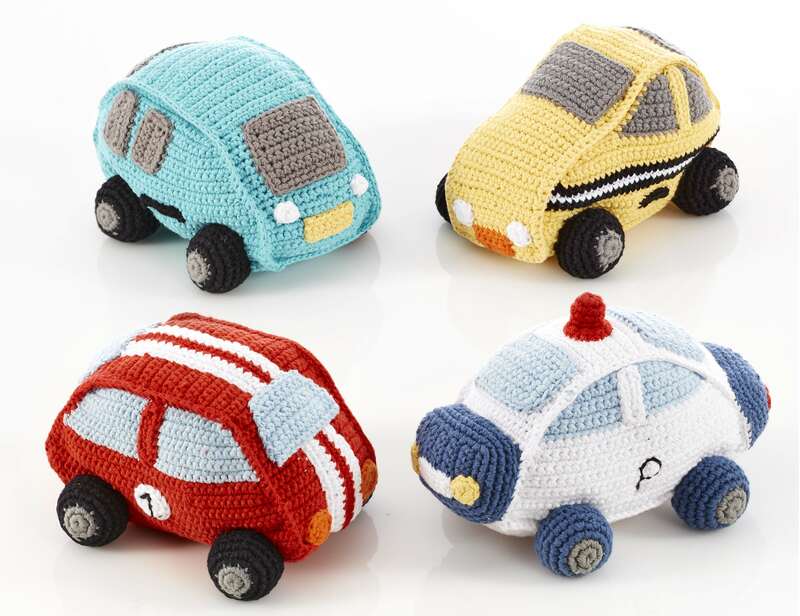 It started with only the turquoise car and then grew last year to include the police car and the racing car and now we have added an iconic NY taxi. Playing with colours again, we have stretched the imagination of the traditional toadstool rattle. The toadstool rattle has been popular in red and white for years and we even have a keyring version and a Christmas tree decoration version. 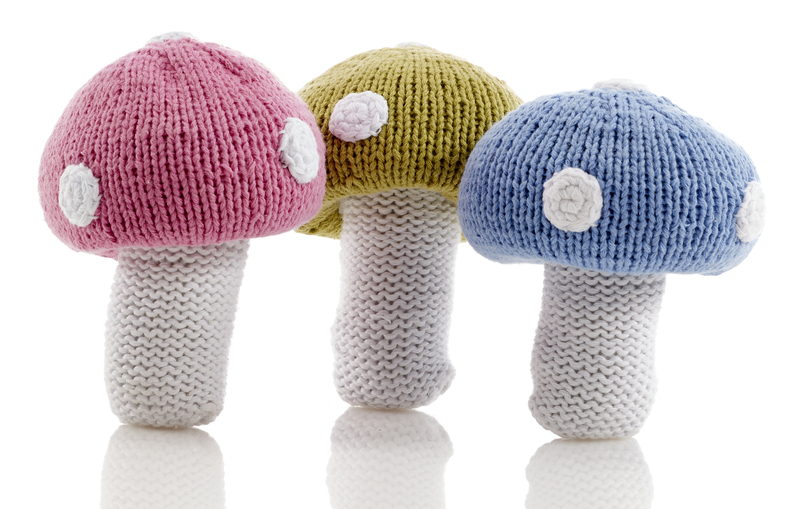 Just as mushrooms come in all shapes and sizes, we’ve now added 3 lovely new colours for the toadstool rattles. My favourite is the woodland sage green colour. That’s my pick of favourites from the new catalogue. Do check the website over the coming weeks for the rest of the new products and of course they will be featured on our intagram and facebook pages too. We’d love to hear what you think of our new products.